Conducting polymers (CPs) such as polyaniline (PANI), polypyrrole (PPY), poly(3,4-ethylene dioxythiophene) (PEDOT), and poly(3-hexylthiophene) (P3HT), have been recognized as promising organic semiconductors due to their controllable chemical/electrochemical properties, light weight, low cost, good biocompatibility, facile processability, and adjustable electrical conductivities. 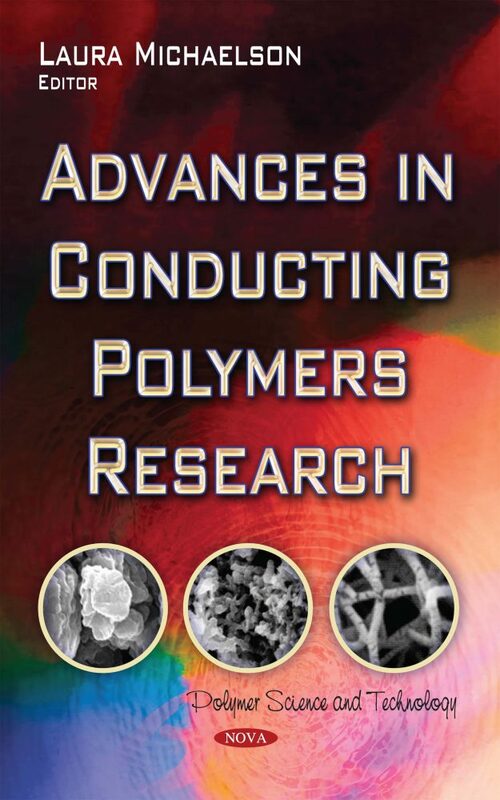 This book presents current research in the field of polymers. Topics discussed include resonance raman of polyanilines nanofibers; conducting polymer micro-/nano- structures via template-free method; charge transfer and electrochemical reactions at electrodes modified with pristine and metal-containing films of conducting polymers; and conducting polymer-functionalized carbon nanotubes hybrid nanostructures based bioanalytical sensors.